OUR GENUINE DEMANDS ARE NOT CONSIDERED BY THE GOVERNMENT. INTUC HAS DECIDED TO GO ON STRIKE AS SCHEDULED ON 02/09/2015. FORGET LOCAL DIFFERENCES.THINK GLOBALLY. FNPO IS PARTICIPATING IN STRIKE ON THE INSTRUCTIONS OF INTUC. WE ARE NOT JOINNING WITH NFPE. 02/09/2015 STRIKE IS OUR FUTURE SURVIVAL. MAKE THE STRIKE SUCCESS. ﻿On 30.08.15 and 31.08.15 SGFNPO attended CWC and DWC meetiing of FNPO affilated union at ﻿Bikaner. 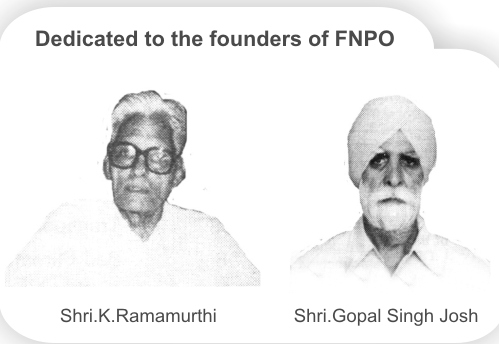 On 31.08.15 SG FNPO attended retirement ﻿part of Shri. 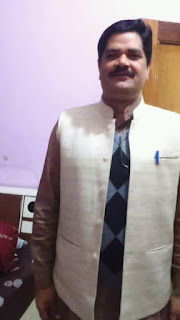 Ramazan, Regional Secretary, NUR'C' at ﻿Bikaner﻿. Extension(4 months) of the term of the 7th Central Pay Commission-Union Cabinet﻿. The four-member Seventh Central Pay Commission team headed by its Chairman Justice A K Mathur (second from right siting). Our Federation is aware how our sister unions targeted our members during verification. We received hundreds of complaints from various corners complaining about the sister unions and their atrocities. The Federation is very well aware about the local issues. But we have to think globally and act locally. This is the time to go on strike at the national level. not give room to them, We mentally satisfied with the demands which are placed by the national trade union centres, especially item No. 5 Minimum wage as Rs. 15000/- for Indian worker. Unless minimum wage is raised, we cannot demand Rs. 26000/- raise for Central Government employees. Like-wise, disinvestment, FDI and anti-labour laws are very important for indian Workers today. In regard to Part II now 7th CPC is going to submit its report in August/September 2015. But till date inclusion of GDS case in the 7th CPC purview has been rejected by the Government twice. This is unfair, unethical and unjust and we cannot accept the stand of the Government/Department. The Department/Government is always showing step-motherly treatment to the GDS employees. The new Holiday Home opened at Tambaram Railway station will cater to the needs of the officials who are coming to Chennai from different parts of the country for various purposes. All South Bound trains pass through Tambaram and stop at Tambaram Railway Station. The Holiday Home is easily accessible by suburban trains also.